The Audio jacks on the front are IN jacks. It does not appear to have any OUT jacks. In your first post you mentioned you have a Cassette player. Does it have Audio OUT jacks on it. You beat me asking the exact same questions ! Using that, what jacks are you using? You may be able to use the (ear) "Phones" jack but I don;t think that jack will have enough power to do any good when you are recording. Why not call where to bought the system (or Sony) and ask for help. 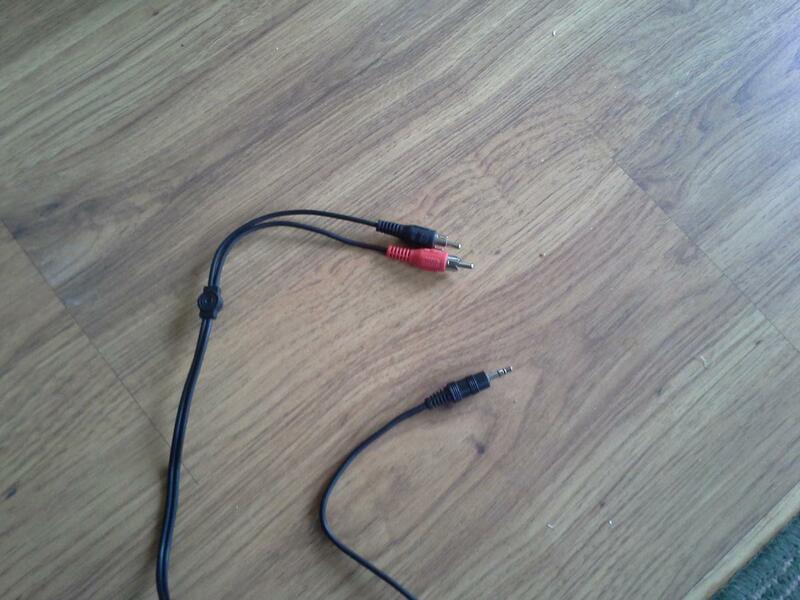 Ok, it's sounding like I can't do this even if I had the right cable. My Sony system is marked Audio left & right (white & red jacks in the front) # 23 - so that's what I've been trying to use. Is that just for games? If it helps here is the link for the cassette player. Pyle Pro PT 649D It has In (Rec) white & red and Out (Play) white & red jacks to connect it to the stereo. You would connect the Line OUT (Red & White) on your Cassette player directly into your Roxio usb unit, nothing else. I would also suggest you get a friend,neighbor,relative,co-worker (who has some basic electronics/computer knowledge) to come over and help you. Based on your answers on here you seem to be in over your head and need help. Go directly from the cassette desk to your computer's audio card. 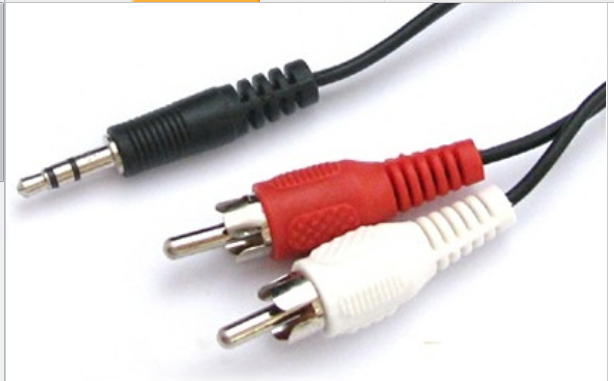 It has RCA plus for both input and output; make sure you use the correct ones. Note the link to the manual doesn't work so I can;t give you more detailed information. 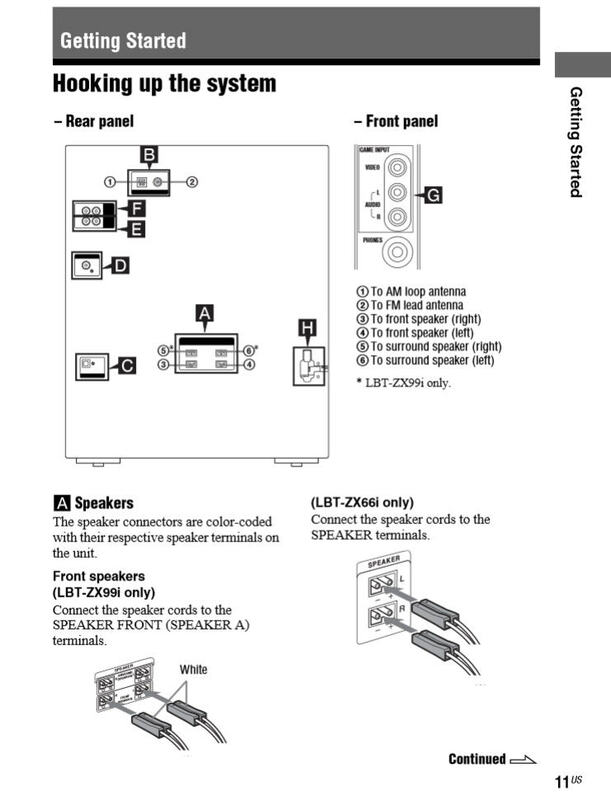 Ah, Amazon has a version of the manual and you can go from line out (back of the unit) to yjr USB device. I still haven't been able to reload the program but you would use "Digitize...". If the tapes are important and need to be fixed, use the free trial of GoldWave. Ok, thanks I'll try that soon. I did get Roxio working again for copying VHS to DVD - there were two options for connecting to the back of the VCR so all I had to do was switch jacks. Yes, Ogdens - You are correct about me and electronics! Luckily, you have all had enough patience to keep answering my questions. Will post back when I try connecting directly to the cassette player. He could buy a 'Y' cord and go to the head phones jack on the Sony. Ok, so I checked both PC's and found "Roxio Video Capture USB" listed twice. No warning indicators that I could see and no signs of anything strange or out of place. I checked, and maxed out, the volume mixer and all the volume options both on my computer and in Sound Editor but still got no sound on either computer. I plugged a simple red-white-yellow cord (the same one I use with the Roxio device to capture VHS, for which the sound does work) into the back of the cassette player. This is plugged into the Roxio device and then the USB end is plugged into my computer. It's hooked up exactly the way the VHS gets hooked up, except for leaving the video end unplugged) I have tried all the USB ports with a mouse and thumbdrives to make sure one of them is not faulty, but they all seem to work fine. What is the make and model # of your Cassette player?. It is the Pyle mentioned in #29. You already had already commented on it! LostKitten4 is the Original Poster on this thread. Smokyie1 is the guy with the Pyle cassette unit. I have tried 2 different ones: a Philips MC260 Micro system and a Sharp CD-C3600 Mini Component System. Both are CD and Cassette players and are in relatively good shape. I have not been able to get a sound transfer from either of them using the Roxio device, but they do work with headphones plugged in so I know the actual cassette player portion does function. odens -- Sorry for the confusion. Smokyle1 should be ashamed for hijacking the thread and I should be ashamed for not keeping them straight. ! Lost -- did you try the headphone jacks? The manual is sort of confusing so the headphone jack MAY be on one of the speakers. The Sharp should be right in the front. You will need to increase the volume of the capture when you are capturing. Ok, if I can jump back in for a second and yes, I know I should have started a new thread. Anyway, I connected as was suggested directly from the cassette player (I have the Pyle Pro Unit) to the Roxio USB in the computer and it didn't work. Tried the opposite jacks on the cassette player and then I have no sound on the stereo. Did you use the Phone jack (head phones)? I think that is the only way. Make sure your Windows setting for audio capture are set correctly. See your Windows instructions for how to do that. I picked Win 10 as it is more compatible with your Win 8. I cannot hear any of this while the Record Audio window is up. Note blue bars at the bottom while playing. How do my pictures compare to your screen? I have tried the headphone ports on each machine. They work (give out sound) when the headphones are plugged in but not for the Roxio device. My screen looks identical to the first two screen. 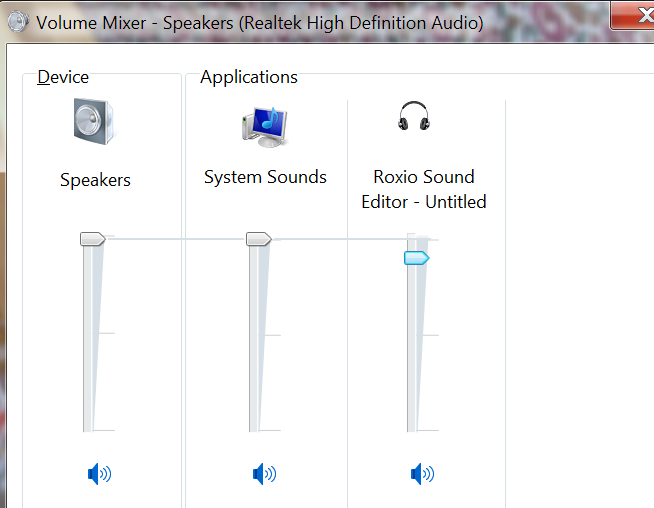 I have selected the Roxio line in device and I have maxed out the recording volume inside Sound Editor as well as on the computer itself and in the mixer for the Roxio device. I am not getting any sound. It's not that I just can't hear it while it records, it's that is simply isn't picking up anything to record at all. If I press record with the cassette playing, let it run for a short time, and stop, not only to do I not hear anything during the recording but the only audio line on my screen is a flat brown line which translates to dead silence when "played".